Tally.ERP 9 - It's Fast, Powerful, Scalable… And very Reliable! Tally.ERP 9 is the world's fastest and most powerful concurrent Multi-lingual business Accounting and Inventory Management software. 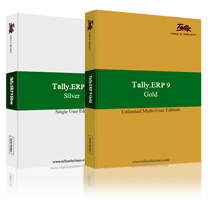 Tally.ERP 9, designed exclusively to meet the needs of small and medium businesses, is a fully integrated, affordable and highly reliable software. Built on the proprietary technology of Tally Solutions - C:MuLATE (Concurrent Multi-lingual Accelerated Technology Engine) - Tally.ERP 9 is a perfect fusion between the path-breaking Concurrent Multi-lingual Platform and an Object Oriented Database Engine. Technology on which someday all business accounting solutions will be built. Simplicity: Tally.ERP 9 is simple, easy to setup and use. It also allows easy Keyboard operations. It requires basic knowledge of Accounts and English to use it. Power: Tally.ERP 9 allows the user to maintain multiple companies and with unlimited levels of classification & grouping capabilities. It also allows drill downfacility from report level to transaction level. Flexibility: Tally.ERP 9 provides flexiblity to generate instant reports for any given period (month/year) or at any point of time besides providing the facility to toggle between Accounting & Inventory reports of the same company or between companies. Scalability: Tally.ERP 9 suits to any style of business needs and eliminates the necessity for a business to change its style of operation, in order to adapt to the application. Concurrent multi-lingual capability: Tally.ERP 9 offers you the exclusive capability of maintaining your accounts in any Indian language, viewing them in another language and printing them in yet another Indian language. Real time processing: Immediate posting & updation of books of accounts as soon as the transactions are entered, thereby facilitating instant statements & Reports. It also faciliaties real-time multi-user environment. Accounting without Codes: Tally.ERP 9 allows accounting with the regular names (the way you spell them or use in normal parlance) without any account codes. Technical support: Timely support is available from our experts at the Tally Service Partners (TSPs). Online Help: The Tally.ERP 9 Online Help (Alt+H) provides instant assistance on basic and advanced features or any other relevant topics of Tally.ERP 9. Tally.NET: is an enabling framework which establishes a connection through which the remote user can access the Client's data without copying / transferring the data. Remote Access: Tally.ERP 9 provides remote capabilities to access the data from anywhere and anytime. Control Centre: works as an interface between the user and Tally.ERP 9 installed at different sites and enables the user to centrally configure and administer Site/User belonging to an account. Support Centre: allows a user can directly post his support queries on the functional and technical aspects of the Product. Auditor's Edition: Tally.ERP 9 offers a special Auditors' Edition of Tally.ERP 9, which provides auditing and compliance capabilities exclusively for Chartered Accountants. We understand that information is the key to your business decision and success. Making it available on demand is our promise. Tally.ERP 9 with its revolutionary Tally.NET technology will help you access business data remotely from anywhere: home, vendor’s office, client’s location, cyber cafe.. simply on the move. Now make quicker, informed business decision thanks to information on demand. Tally.ERP 9 will help you manage your business operation with ease by injecting efficiency at every stage. Simple yet powerful accounting, finance, inventory and payroll features connect various departments of your business for smooth functioning. Experience the vast product capabilities that address all your business needs efficient. Get on that path to progress with Tally.ERP 9. 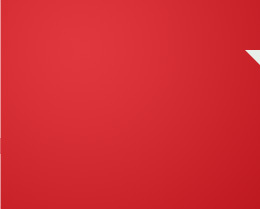 Powered by new technology, Tally.ERP 9 brings your expert advice related to your business, on demand. No more worrying about what should have been, after the fact. Now benefit from continuous compliance through your Charted Accountant to save time and money. Through secured remote access, your Chartered Accountant can provide timely audit advice from any location. Get Tally.ERP 9 today and accelerate your business growth. Access your business data from anywhere in the world. Access data from anywhere – even with Tally.ERP 9 installed in educational mode (no need to buy another license). Access your data from a customer’s or supplier’s location to check up on dues and inventory – improve receivables and inventory control. Your travelling salesmen can access customer information, verify stock position and place order – improve sales efficiency. From within Talyy.ERP 9, raise your queries to Tally, your service partner and others. See responses as well – even via remote access. As an owner you get to see the various queries raised across your organization. Control Centre (New!) You can manage your license on your own (surrender, re-active and so on) as well as easily distribute custom code (TDLs) and prevent their misuse. Integrated Test Engine (Coming Soon!) Recruit skilled personnel by conducting online tests to evaluate their product knowledge and skill. Seeing is believing! So, wait no longer to enjoy the power of 'Accounting on Computers' with the world's first concurrent multi-lingual Business Accounting & Inventory Management Software - Tally.ERP 9. For a top-class solution to meet your business requirements, please contact CITS today at info@cartelsolutions.com on or submit your interest in Tally 9.0 online. Cartel IT Solutions provide Tally.ERP 9 services including Training and Implemention of Tally.ERP 9 Accounting Software in Dubai, Abu Dhabi, Sharjah, Ajman, Umm al-Quwain, Ras al-Khaimah, Al Ain and Fujairah, United Arab Emirates (UAE). Also, we provide services in Musact, Oman and Qatar.